All the flavor of the classic Key Lime Pie in a sweet and yummy snack mix that takes only minutes to make! Make sure you double the recipe to feed the whole gang! 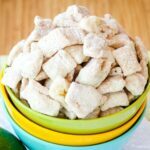 This Key Lime Pie Puppy Chow recipe features all of the flavors of classic Key Lime Pie in a sweet, yummy snack mix. Quick and easy, these Muddy Buddies take less than 10 minutes to make! 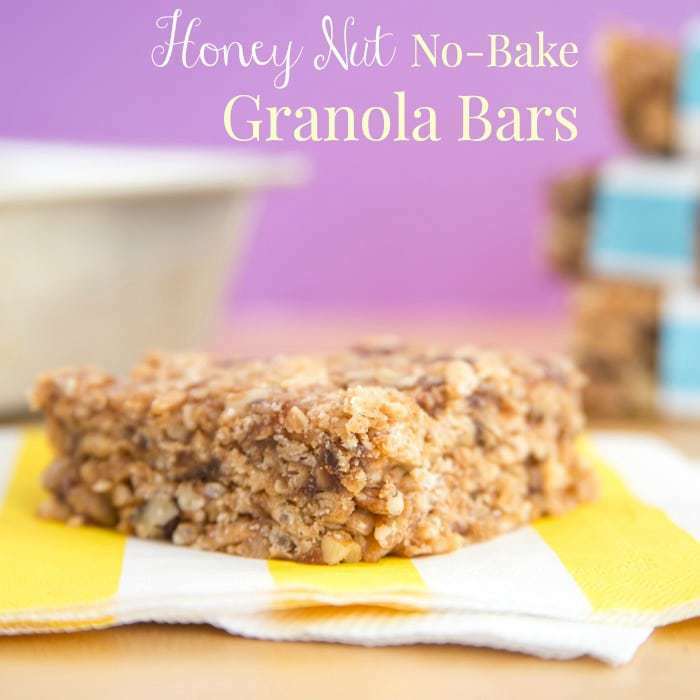 It’s a no-bake snack that is impossible to resist and perfect to bring to a party. That is if you don’t eat all of this Key Lime Pie sweet Chex mix before you get there! Is it called puppy chow or muddy buddies? 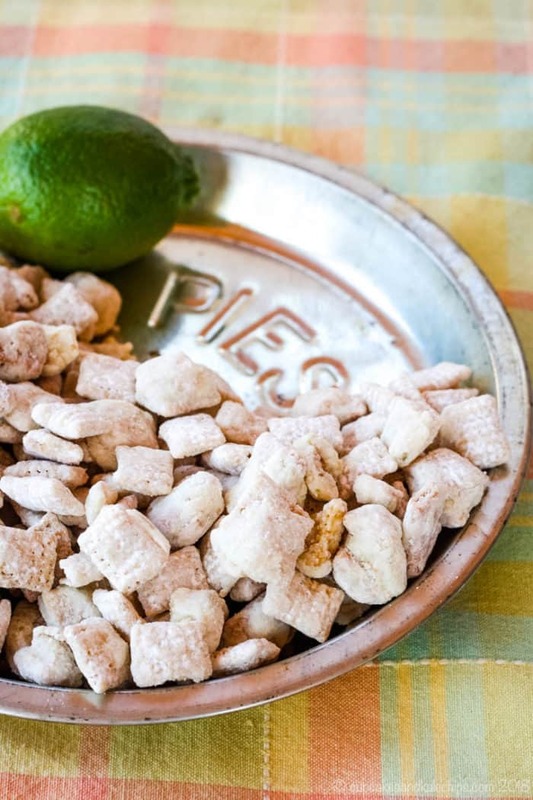 OK, let’s talk about this Key Lime Pie Puppy Chow Recipe. Or do you call them Muddy Buddies? You know, the cereal squares coated in melted chocolate and peanut butter, then shaken all up with powdered sugar. Or, as I like to call them – Crack! Honestly, I never know what to call this stuff. I mean, I suppose Muddy Buddies work when you use dark or milk chocolate because they do have kind of a muddy look about them. But really, the name isn’t all that appealing. And then when you make them out of white chocolate, it totally doesn’t work. 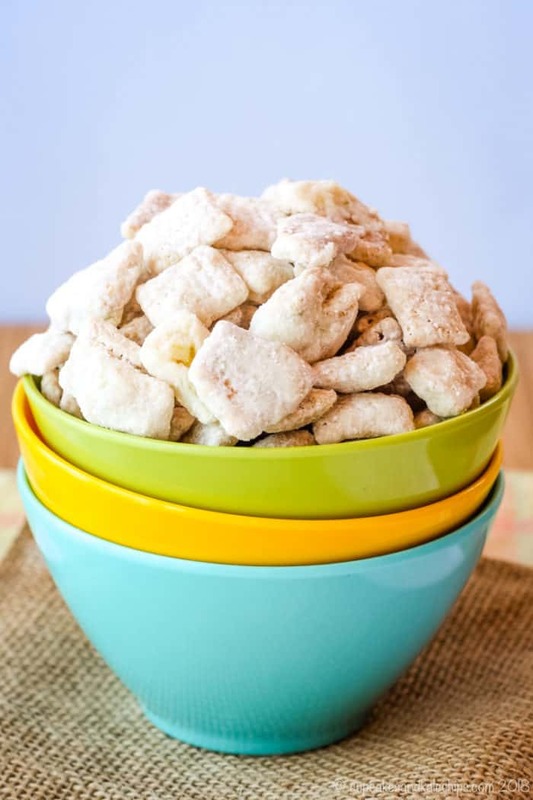 I have a Chai Tea White Chocolate Puppy Chow recipe that I originally called “Snow Buddies.” For that flavor, it works. Key Lime? Snow? I don’t think so. So there is also just Chex Mix, but to me, that conjures up images of pretzels and peanuts and something salty for snacking while watching football. And you know, trademarks and all. Cereal Treats – those are the bars made with melted marshmallows. Not gonna work. Sugary Cereal Square Snack Bites Treats Mix Awesome Deliciousness? How do you make puppy chow that tastes like Key Lime Pie? 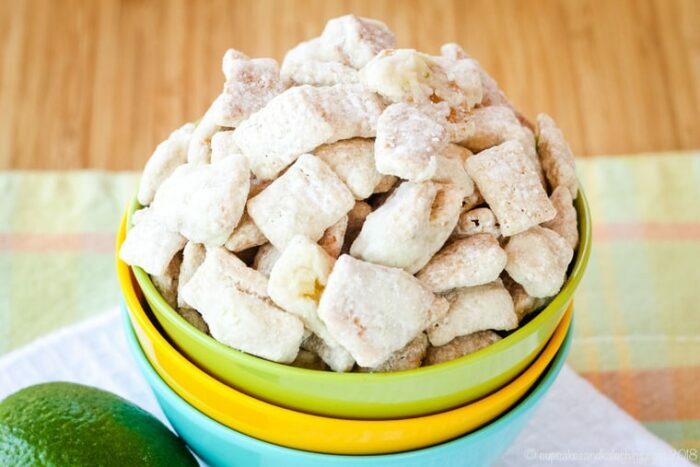 The Key Lime Pie puppy chow recipe is super duper easy to make. 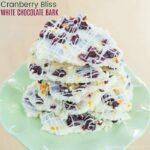 From the traditional Muddy Buddy recipe, I swapped out the milk or semisweet chocolate chips and peanut butter for white chocolate chips and butter. Then I added some lime juice and zest (don’t get all up on me – I know they aren’t technically key limes. Sorry.). As for the cereal part, I swapped some of the Chex for graham cracker pieces. This gives it a bit of “crust”. Melt the chips and stuff, stir together with the cereal, toss in a big old Ziploc bag with powdered sugar and let the 3-year old shake it up. Definitely, a fun snack to make with the kids. One disclaimer, I often find that white chocolate melts a little weird, Between that and the lime juice, it looks a little thick when you melt it. Just pour it over the cereal and toss around a bit. It’ll get coated enough to make it sticky for the powdered sugar to cling to all the pieces in a sweet and yummy coating. How do you make muddy buddies gluten free? 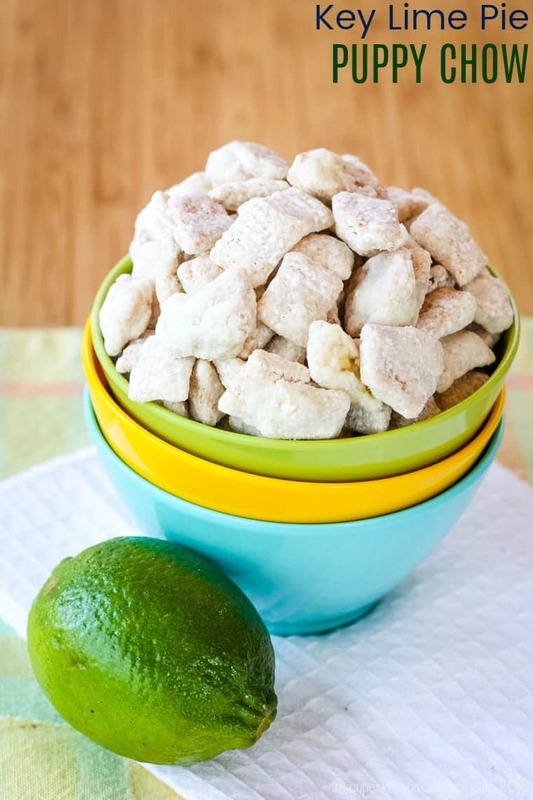 Want to make this key lime pie puppy chow recipe gluten free? Instead of the cup of graham cracker pieces, just use all Chex (I think even a cup of the Cinnamon Chex would be awesome for a little graham-cracker-ish-ness). Or simpler yet, grab some gluten free graham crackers. Easy peasy! Where can I get the Ziploc bag holder from the video? 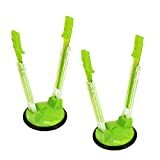 One of the best gadgets to make this simple snack even easier is the plastic storage baggie holder. Clip on your large Ziploc bag, fill it with cereal, and pur n the white chocolate and powdered sugar without making a mess. The just unclip it, zip it up, and shake. 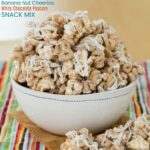 The no-bake snack mix with a name that confuses people, but a taste that is incredibly addictive! The classic Chex snack mix gets a citrusy makeover with white chocolate, lime, and even some graham cracker crust pieces. Whip up a batch in minutes for your next party and the bowl will be empty in no time. Place powdered sugar in a large zip top plastic bag and set aside. Gently toss together the Chex and graham cracker pieces in a large bowl. Combine the white chocolate chips, butter, vanilla, lime zest and lime juice in a bowl and gently melt in the microwave or over a double boiler. If doing it in the microwave, use 50% power and stir every 15-30 second until melted. It may look slightly thick and clumpy. Pour chocolate mixture over the Chex mixture and gently stir and toss until fully coated, breaking up any large clumps that may form. Transfer the cereal mixture to the plastic bag with the powdered sugar seal and toss until fully coated. Pour out onto a sheet pan lined with a nonstick baking mat or wax paper and allow to cool and harden. To make this gluten free, use another 1 cup Chex (perhaps try the Cinnamon Sugar Chex), or gluten free graham crackers. LOVE LOVE LOVE anything citrus and can’t wait to try these!!! Just a thought…. for the “graham-y” part….how about throwing some graham cracker crumbs into the mix instead of the pieces??? I think that would work great! I was trying to give it the feelig of Key lime pieces and crust pieces, but I love your idea! 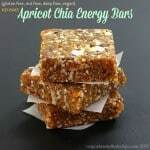 These look delicious, my husband would love them! Pinning, and thanks so much for sharing this at Creativity Unleashed! Thanks! They were a yummy version of this snack mix. My husband is going to flip! He absolutely loves key lime pie and anything even remotely similar to it. I’ll have to try these soon. Hi, how do you join the improv baking challenges? It sounds like a lot of fun! Merry Christmas! I think I’d just call them delicious. The cinnamon chex idea for gf is brilliant, too. I love puppy chow! It’s so addictive. I make all different kinds and making them fruity is a great idea. I wondered if fruit juice and zest could be added. Most orange/lime/lemon versions I see use cake mix or something weird so I love this! Key lime pie is my favorite dessert and I love muddy buddies- this sound awesome! I have had Muddy Buddies recipes “pinned” for ever & still have not made any! Since Key Lime is the hubs’ absolute favorite dessert, I must try your recipe. Thanks! Yummy! I grew up calling these Puppy Chow, but I think Muddy Buddies is more common. That’s what Chex calls them. Your key lime version sounds really good. Can’t wait to try it!